“The Vale” is a working Karoo Farm and is one of South Africa’s top Dorper sheep stud farms. Farming activities is diverse and include farming with a substantial numbers of game. Situated in the heart of the Karoo it offers many new holiday and break-a-way opportunities on the farm as well as being near the “Karoo National Park”, only 32Km away. The farm is situated 30Km east of Beaufort West on the N1 route between Cape Town and Johannesburg and is halfway between Bloemfontein and Cape Town, 500Km either way. A new and exciting addition to the farm is the development of a number of leisure activities and accommodation facilities to cater for every taste and need. The Vale Karoo Farm has been awarded a Certificate of Excellence! The ideal venue for a memorable romantic wedding reception, hidden away in the heart of the Klein Karoo where charm, romance and tranquility prevail. Contact us on 082 968 7991 for more information or to make a booking. 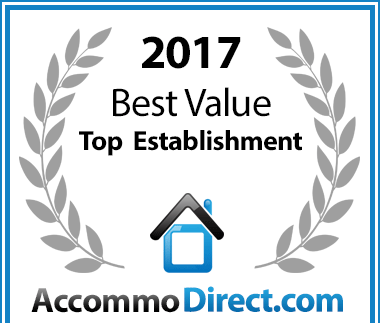 The Vale Karoo Farm in Beaufort West has been voted a Best Value establishment on AccommoDirect. 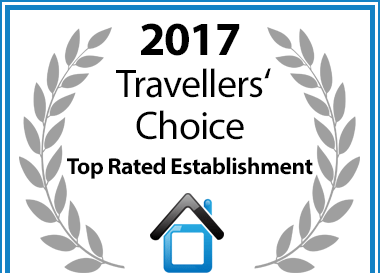 In recognition of exceptional guest reviews The Vale Karoo Farm in Beaufort West has been awarded a Travellers' Choice Award.